Our premium rebuilding skin needling kit (derma roller plus scar cream) is recommended for acne scarring on any part of the body. The rolling techniques is especially effective for inactive hypo-trophic (white) acne scarring. 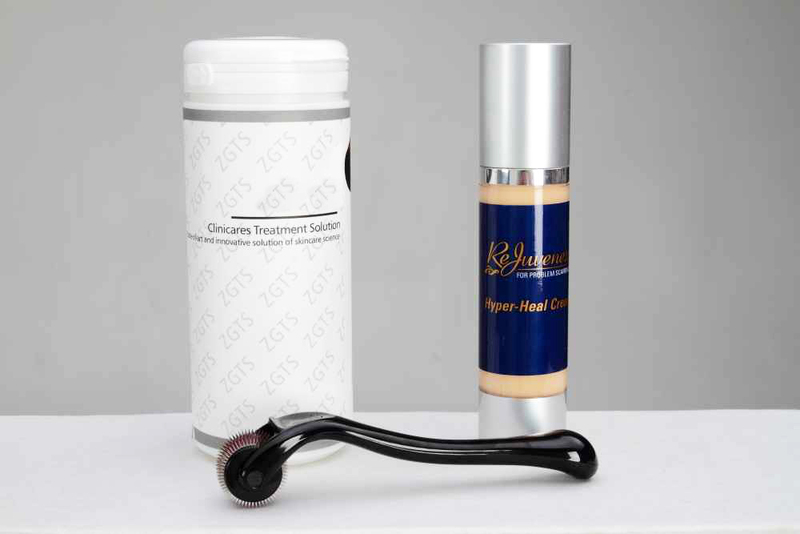 The derma roller reactivates the scarred area while our Hyper-Heal scar cream repairs the new active scar. The deeper you go the better the results.